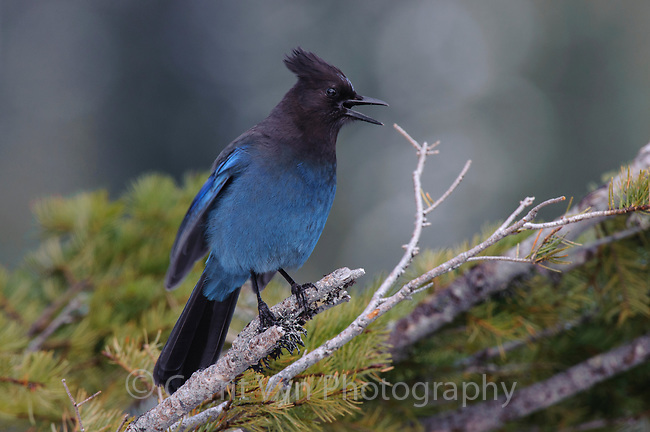 Adult Steller's Jay (Cyanocitta stelleri) calling. Pierce County, Washington. May.